Still among fans are active disputes on the proper use of batteries from laptops. Many tend to believe that when operating from the mains the battery is better off. But this is not always true. Even modern batteries have a certain cycle of charge-discharge. This means that the more you use the battery, the faster it will have to be replaced. Remember that to disconnect the battery from the laptop should be in the off state. 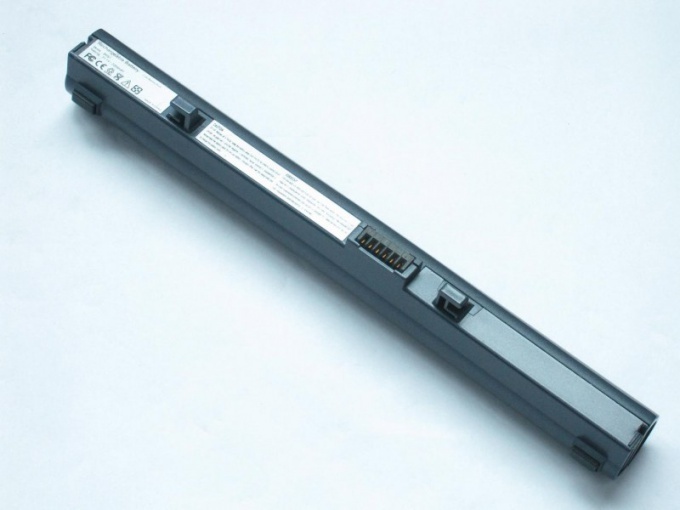 Removing the battery from a running laptop can damage both devices. Turn off the mobile computer and disconnect it from AC power. Close the lid and flip the device. All current models of mobile computers equipped with special latches. Switch them in the Open position and remove the battery pack. If you plan not to connect the battery for a long period of time, charge it before removing, at least 50%. This will prolong the service life of the battery. For removing the battery in some older laptops, you need to open the cover, covering the battery. Unscrew the Philips head screwdriver, a few screws and open the slot for battery installation. Remove the battery and close the cover. Do not connect the mobile computer without battery to unreliable power supply. In case of sudden surge you risk losing not only the power supply, but other important elements of the computer such as the motherboard. Connected the battery will take the brunt of the burden, which will keep the rest of the device. It is important to understand that the battery performs the function of uninterruptible power supply. If you are constantly working with important documents or specific applications that cannot be completed at any time, do not disconnect the battery. This is especially true in the process of firmware of different devices and burn discs.